Monday, February 04, 2019Residency at the College of Music/Mahidol University in Bangkok, Thailand is planned for July, 2019Kijanowska will be presented in solo and chamber music concerts as well as she will lead masterclasses and lectures. Saturday, January 19, 2019Dr. 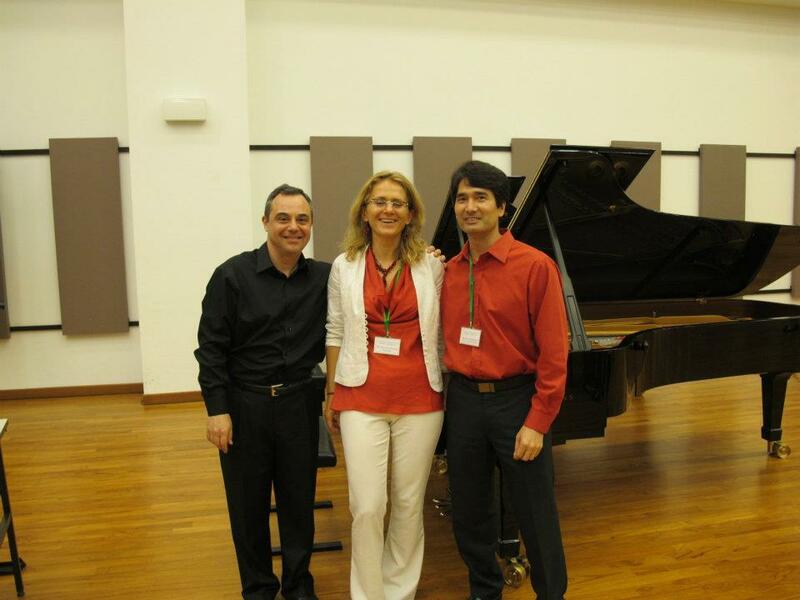 Kijanowska to becomes the first President of the World Piano Teachers Association-POLAND. Tuesday, January 15, 2019Dr. Kijanowska is in charge of organizing the 2nd International Conference- at the Institute of MusiCall for Papers: 2nd International Conference- NEW VOICES IN MUSIC AND FINE ARTS: In the Search of Mysticism-New Aspects of Spirituality in Music and Fine Arts of the 20th and 21st Century. Sunday, September 09, 2018Anna is performing @ Yale University , Sudler Hall, September 9th and 16th at 2 PMLooking forward to returning to Yale for the International Piano Festival In Memory of Allen Forte, September 9th and 16th at 2 PM. I will be giving a number of premiers by Octavio Vazquez, Łukasz Woś, John Muniz and Avner Dorman. Monday, July 09, 2018Summer at the Clazz International Music Festival in Arcidosso, Italy from July 12-24!Busy summer with new music and a great number of new works- world premiers by Łukasz Woś, Octavio Vazquez, Lyudimila German, Louis Pelosi in the lecture-recital " New Music doesn't bite" as well as a number of solo and chamber music appearances at the Clazz International Music Festival. Anna will tour China from March 3-17 where she will perform several solo recitals, give master classes and perform Rhapsody in Blue by Gershwin with the Hubei Orchestra under Xun Sun. 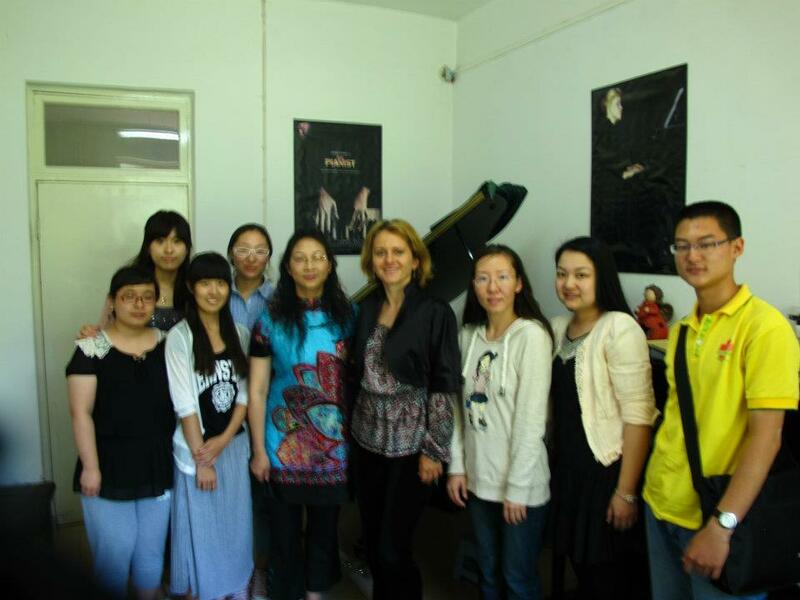 The solo recitals will be presented by the Wu Promotion Management and sponsored by the Jiuzhaigou Natural Wine Industry Co., Ltd.
Anna's forthcoming concerti performances include Lutosławski's piano concerto, Bartok's Piano Concerto No. 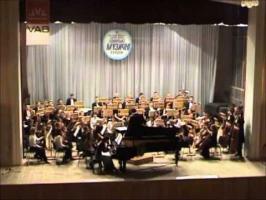 3 and Stravinsky's Concerto for Piano and Winds. 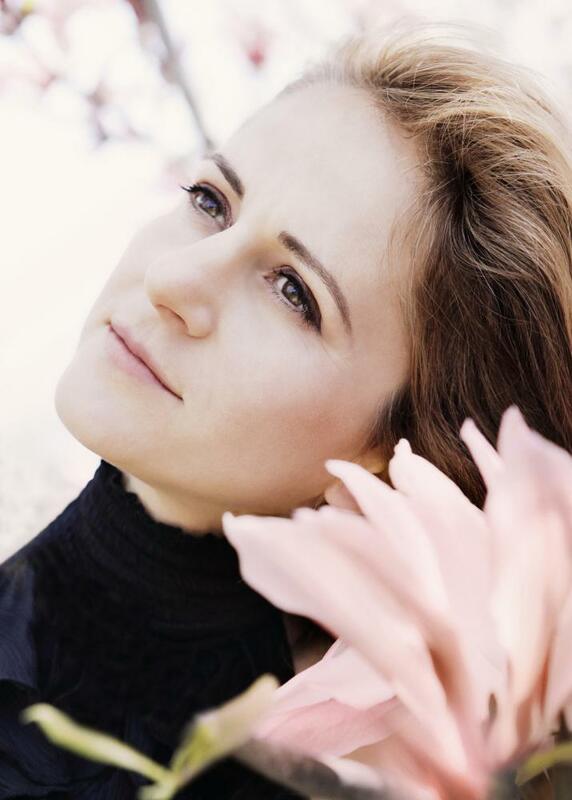 She will also appear with violinist Sharon Roffman for a number of engagements on the east coast of the USA, performing music by Szymanowski, Lutosławski, Górecki and Franck. 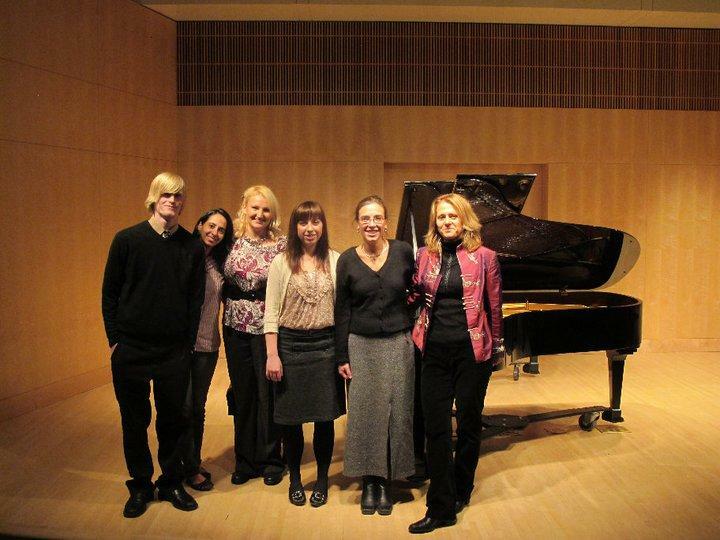 Once again residing on the east coast, Anna is a member of the piano faculty at the College of William and Mary, as well as the faculty of Richmond University during the Spring 2012 semester. 2011 was a busy year, featuring a three-month long tour across Asia, Australia and New Zealand. The opening recitals in Jakarta and Singapore were devoted to the music of Liszt, the 2011 Rome Prize Winner Lei Liang, Chopin and Bacewicz. "Liszt and Chopin on the Lake" at the Singaporian Botanical Gardens was especially memorable thanks to the sizeable audience of over 2000 people and the climate - Anna had to put her Bikram Yoga experience to work while playing Liszt's Sonata in B Minor in weather with 90% humidity! It was quite a memorable performance. After Singapore, she moved on to New Zealand, giving a number of concerts in Auckland, Wellington, Dunedin, Hamilton and Christchurch. While there, she collaborated with soprano Olga Gryniewicz and flutist Adriana Lis on the premiere of "Polish Dances" by New Zealander Anthony Richie. 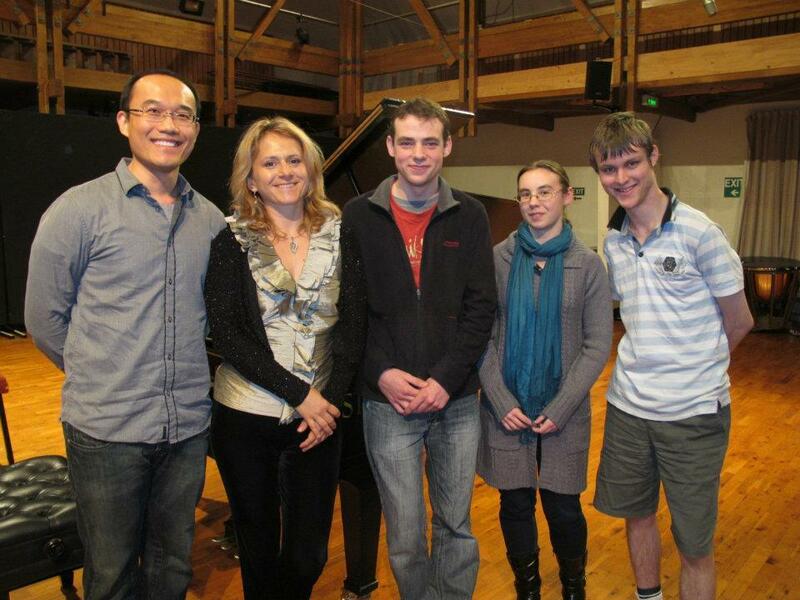 Continuing on to Australia, Anna presented a recital in Sydney and Melbourne entitled "Drive Blues," dedicated to contemporary music from around the world. 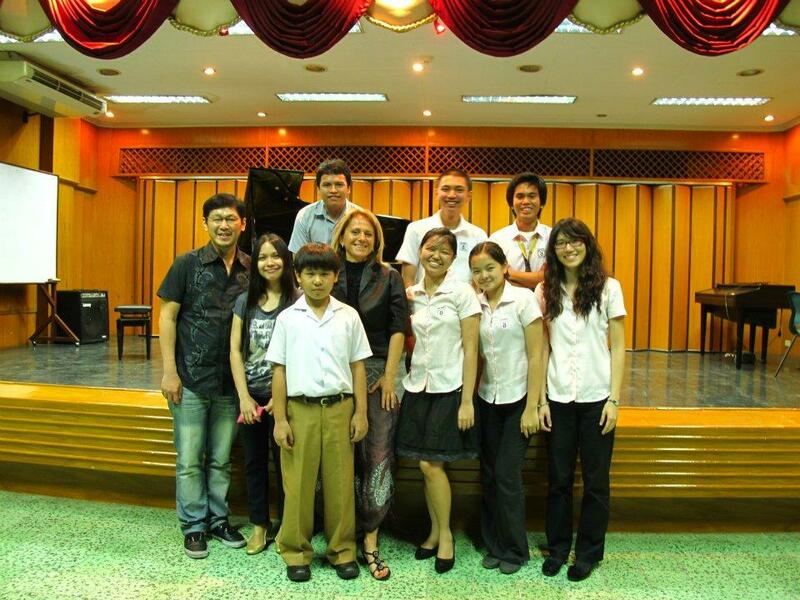 During 2011, Anna taught Master Classes at the Jakarta Conservatory, LaSalle College of the Arts, New Zealand School of Music, Victoria University of Wellington, University of Waikato, University of Otago in New Zealand and St. Thomas University in Manila. 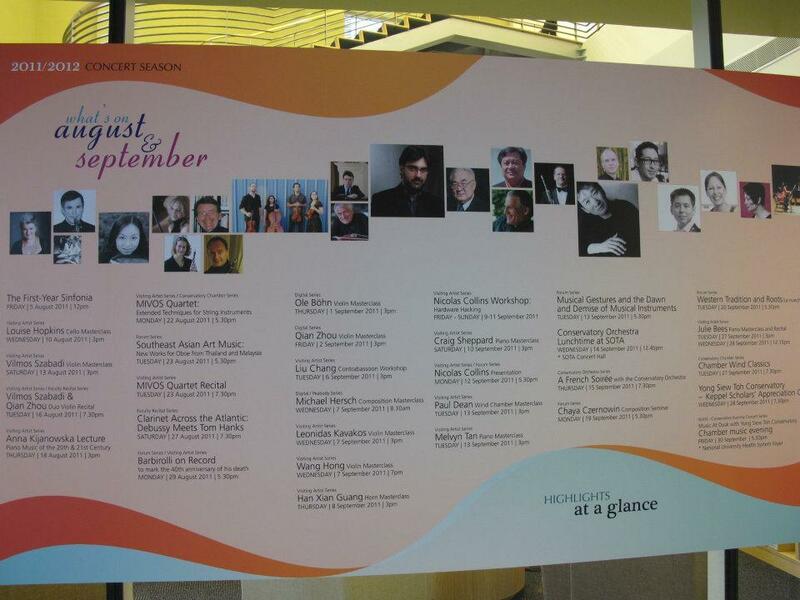 She was also invited to present a lecture-recital during the 5th Singapore Piano Pedagogy Symposium at the Yong Siew Toh Conservatory of Music, National University of Singapore. Anna was featured in the "Chopin on the Rocks" concert with "one of the greatest revelations of polish jazz", Leszek Możdżer and Alizma. October 2nd at the Springs Preserve, Las Vegas. Anna was celebrating Fryderyk Chopin's 200th Birthday Year with musical appearances in many parts of the world. 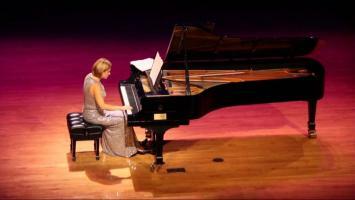 In June she was featured as soloist in two performances of Chopin’s Concerto No. 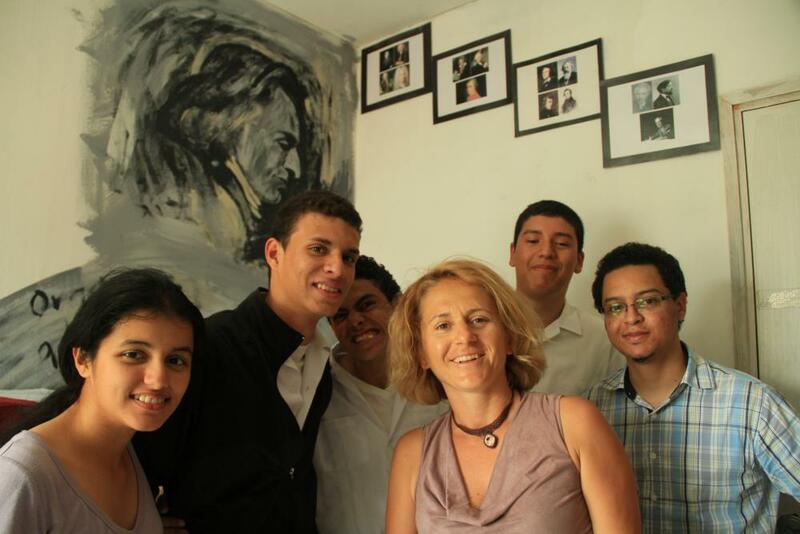 1 with the Sinfônica do Paraná in Curitiba, Brazil. She also taught a number of master classes in several venues: the Escola de Música e Belas Artes do Paraná, the Queensland Conservatorium in Brisbane, Australia, the Australian National University in Canberra and the Music Conservatory in Hobart, Tasmania, among others. She appeared in a number of live broadcasts on radio and television, not only in Brazil and Australia but in New Zealand as well. In addition, Anna gave over a dozen solo recitals in Curitiba, Brasilia,Chirstchurch, Te Anau, Brisbane, Canberra, Sydney and Hobart throughout June, July and August. 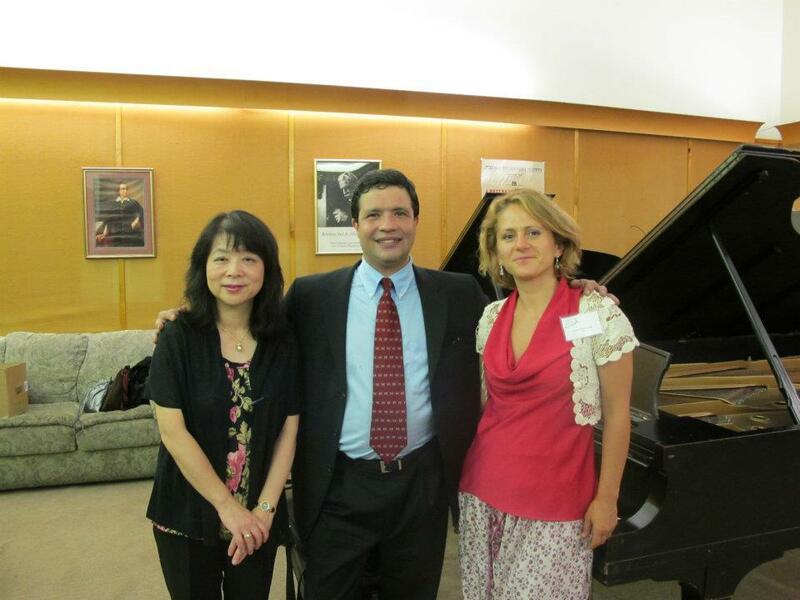 Anna opened the 2010 season with a joint recital featuring acclaimed violinist Ayano Ninomiya, at the Polish Consulate in New York City. The program celebrates Grazyna Bacewicz's music, in commemoration of the 100th anniversary of her birth in 2009. 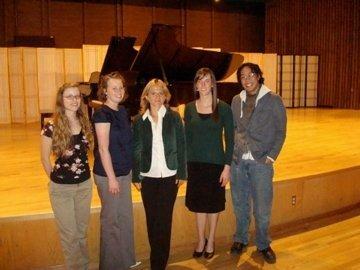 The same concert was presented at UNLV in Las Vegas on February 18th, in Doc Rando Hall. 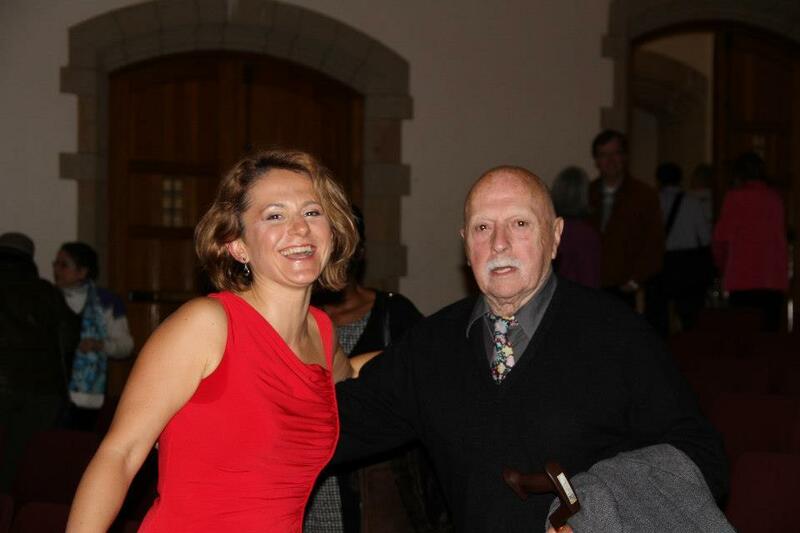 On March 21, Anna collaborated with another esteemed musician, pianist Blair McMillen of Da Capo Players. This program included the famous Fantasty in f minor for Four Hands by Schubert, as well as a piece by contemporary composer Fredrick Kaufman titled, "Yin and Yang: A Dialogue for Two Grand Pianos." The concert will take place at UNLV. 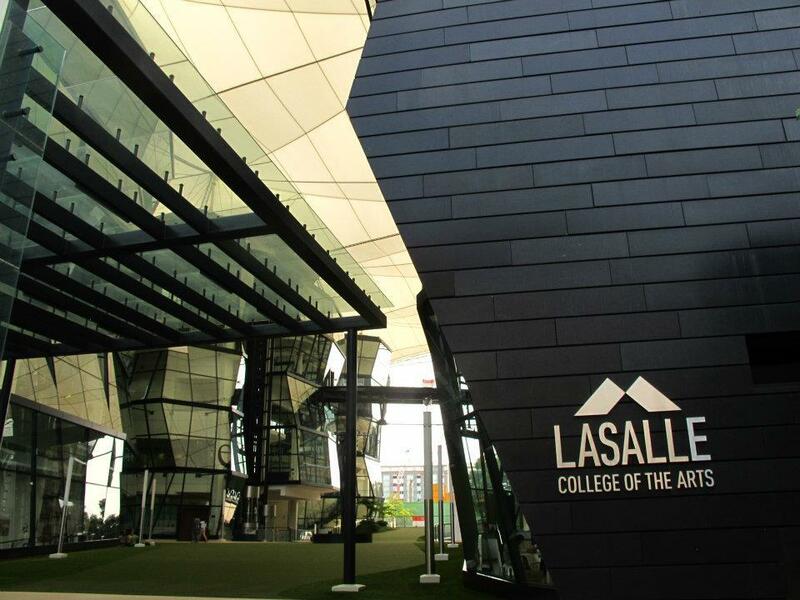 Later in the summer, Anna presented a solo recital of contemporary music (compositions by Lei Liang, Fredrick Kaufman, Virko Baley, and Jason Thorpe Buchanan) at the La Salle Music Academy in Singapore. Anna celebrated the Chopin Year with solo recitals, lectures and master classes all over the world including the USA and Europe. She gave lectures and master classes at Bard College in NY and for the Music Teachers National Association in Las Vegas, Newport News and Maryland. 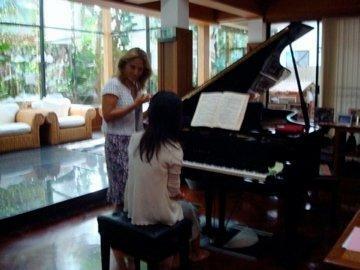 She was also invited to serve as a juror for the Chopin Competition in Jakarta, Indonesia. Anna has been appointed a visiting professor at the UNLV in Las Vegas. In October she celebrated the birthdays of two prominent living composers: Henryk Mikolaj Gorecki and Virko Baley. 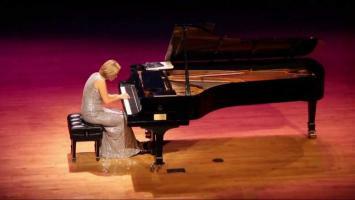 She performed Gorecki’s piano concerto at the Polish Composers Festival in Bielsko-Biala, Poland and Baley’s Klytemnestra at UNLV in Las Vegas. 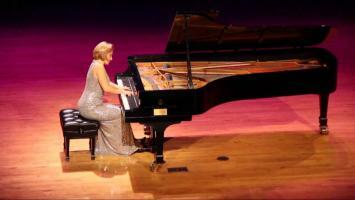 Anna will returned to Harvard University on October 25, to present an evening of music by Karol Szymanowski. There were performances, talks and a documentary movie by Dagnara Drzazga. The same program was once again held in the Polish Consulate in NYC, on October 28. On November 19th Anna celebrated 90 years of Polish Independence at the Corcoran Museum in Washington DC featuring the music of Chopin, Paderewski, Bacewicz and Szymanowski. Anna also appeared on the Ewell Concert Series at the College of William and Mary with the esteemed violinist, Charles Castleman on November 15th. Anna spent most of the summer of 2008 in Thailand, where she taught, performed and scuba-dived. 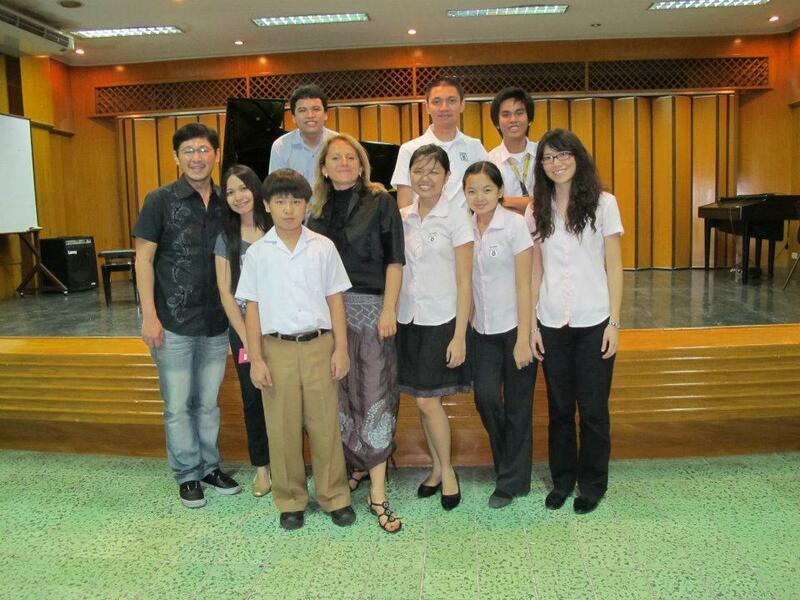 She appeared on Thai TV and gave master-classes for the Bangkok Chopin Society. She also visited Angkor Watt in Cambodia and was moved by the beauty of the Kingdom and the unspoiled land. 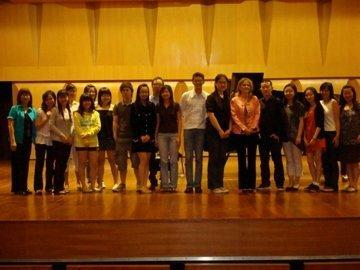 In January Anna presented master-classes and recitals in Hong-Kong (Baptist University) and Singapore (Nanwang Academy of Fine Arts). Anna was invited to present a solo recital at the prestigious National Gallery series in Washington, D.C. on June 8. Anna was also invited to perform for the LIKHA'T DIWA Foundation in Las Vegas on May 17. The proceeds will benefit music students in the USA and Philippines. Anna was named “one of the world’s greatest pianists” by the Indian PRWire, after an eclectic collaborative performance entitled “East meets West,” with Chakrapani Singh on the geet’ar and Vinod Pathak on the tabla. The performance and the master class took place at Alliance Francaise in New Delhi, India in January, and it was reviewed by the Times of India. On the same trip Anna visited Nepal and the Himalayas, and she successfully reached the Mt. Everest Base Camp. Sun Feb 10 02:41Getting ready for the Carnegie, February 23@ 8 PM! The Allure of the Muse. Wed Jan 02 13:20Arrived in Singapore after almost 19 hours in the air! Astonished by the beauty of Siberia. Amazing landscapes! Wed Dec 12 19:36Arrived in Singapore after almost 19 hours in the air! Astonished by the beauty of Siberia. Amazing landscapes! Sat Dec 08 22:04Getting ready to leave for the International Tour: Singapore, Australia, Indonesia and Vietnam! 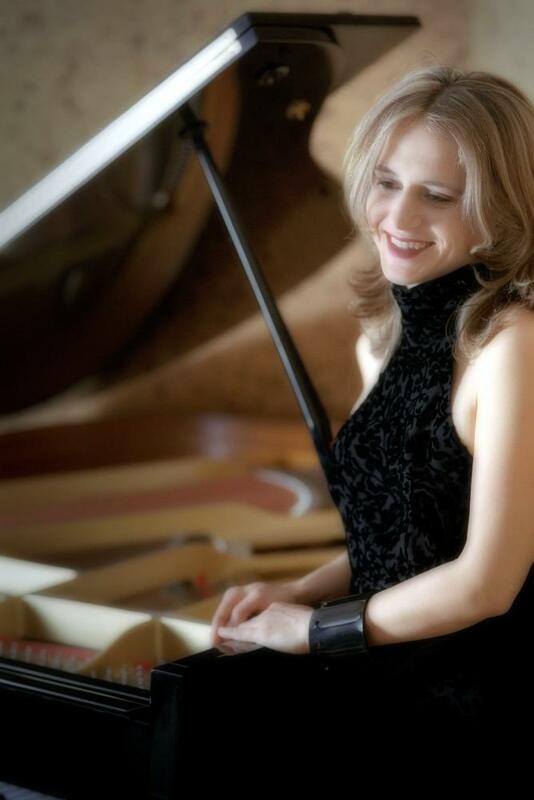 The Polish-American pianist Anna Kijanowska (key-en-OFF-ska) has established herself as a multi faceted musician, smoothly transitioning among her roles as a performing and recording artist, pedagogue, coach, and advocate of contemporary classical music around the world. She has performed, taught and collaborated in North and South America, Asia, Europe, New Zealand, Africa and Australia. 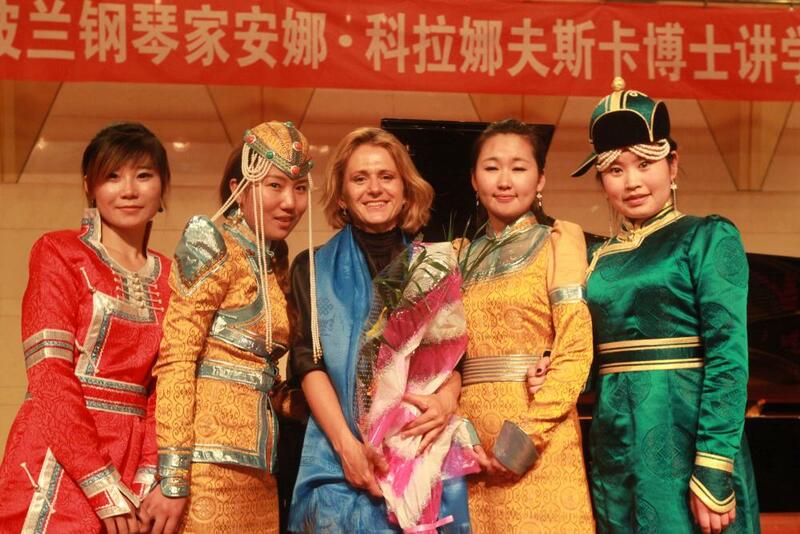 Hailed by The New York Times (2007) as "an excellent young Polish pianist," and by Brazilian critics as “the Tina Turner of classical music” (2010), Kijanowska’s concert performances represent the stunning diversity of today’s globalized classical music scene; she is equally at home performing in Carnegie Hall as the steppes of Mongolia. Her New York debut took place in 1997 with a live broadcast over WQXR, and she has to date appeared in Carnegie Hall, Merkin Hall (NYC), and the Kennedy Center and National Gallery of Art in Washington, D.C, as well as in underserved venues such as the Amazon basin in Brazil, the Himalayas in Nepal, and Mongolia. As a concerto soloist, recitalist and chamber musician, she has appeared in major festivals in Europe, including the Kiev Festival and the Polish Composers Festival under the patronage of Henryk Mikolaj Górecki, as well as at the Quartet Program at Bucknell University and SUNY Fredonia in New York. She has collaborated on these projects with several other renowned musicians, including violinists Charles Castleman, Sharon Roffman, and Ayano Ninomiya of Ying Quartet, pianist Blair McMillen of the Da Capo Chamber Players, and jazz pianist Leszek Możdżer. She has also been heard on WQXR in NYC, WNYC in New York, Chicago Radio, Radio New Zealand, SBS National Public Broadcasting in Australia, and has performed for television audiences in Poland, Ukraine, Brazil, Australia, New Zealand and Thailand. Kijanowska is particularly passionate about presenting Polish music to the world. 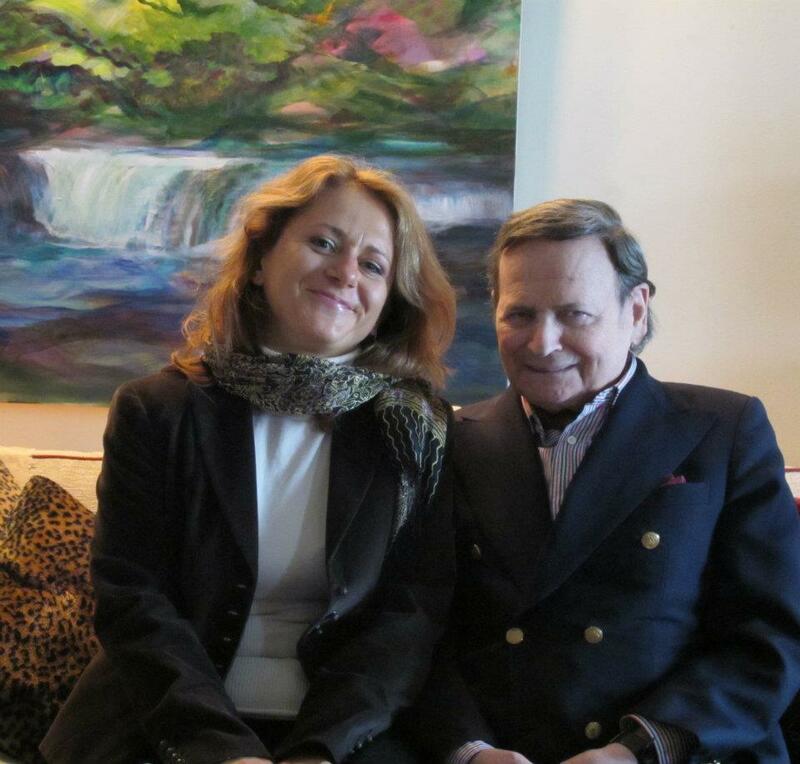 She has been frequently invited as a visiting artist at Polish Embassies and Consulates around the world. She is also widely known as a promoter and elaborator of contemporary music. 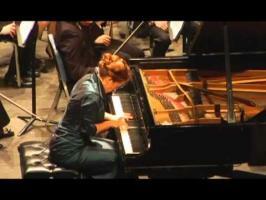 She has been involved in a number of international premiers and she works with living composers on a regular basis. Kijanowska’s repertoire spans from the 16th to the 21st century, and includes rarely-performed gems of Polish repertoire, such as the Piano Concerto by Lutosławski, as well as major works by Chopin and Górecki. 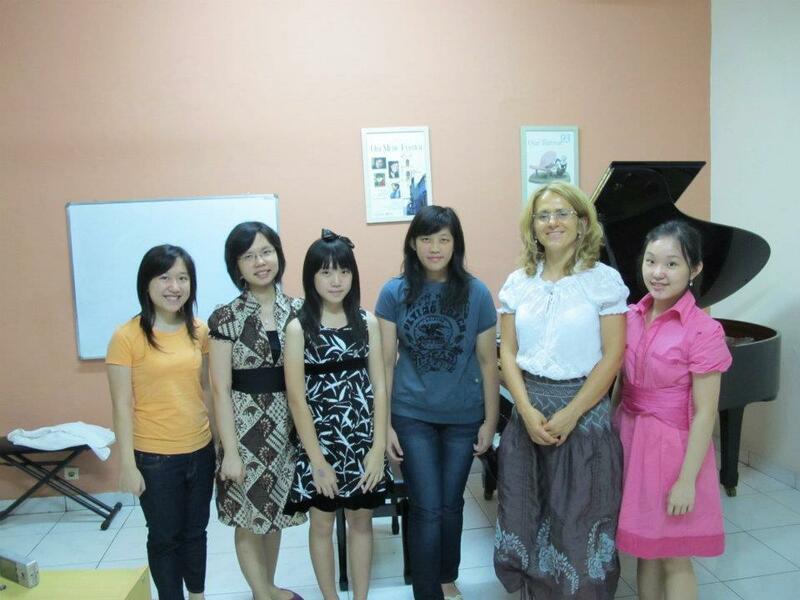 As an internationally recognized music educator, Kijanowska has been invited to present master classes, recitals and lectures at leading universities and conservatories around the world, including the Yong Siew Toh Conservatory of Music at the National University of Singapore, Nanyang Academy of Fine Arts and LaSalle College of Arts in Singapore, Frankfurt University of Music and Performing Arts in Germany, the Sydney Konservatorium, the Chinese Conservatory in Beijing and the Xinghai Conservatory of Music in Guangzhou, China, New Zealand School of Music at the Victoria University of Wellington, in New Zealand, Australian National University in Canberra, Yayasan Pendidikan Musik Conservatory in Jakarta, Indonesia, North-West University in South Africa, the Conservatory in Lima, Peru, St. Thomas University in the Philippines, the Universities of Arizona, Utah, Nevada, Virginia and California, Bard College in New York, and Harvard University in Cambridge, among others. She has also been invited as an adjudicator for a number of competitions worldwide, including the Yamaha Piano Competition, in Guangzhou, China, the Chopin piano competitions in Indonesia and Singapore as well as the MTNA and the Washington International Competition in the USA. 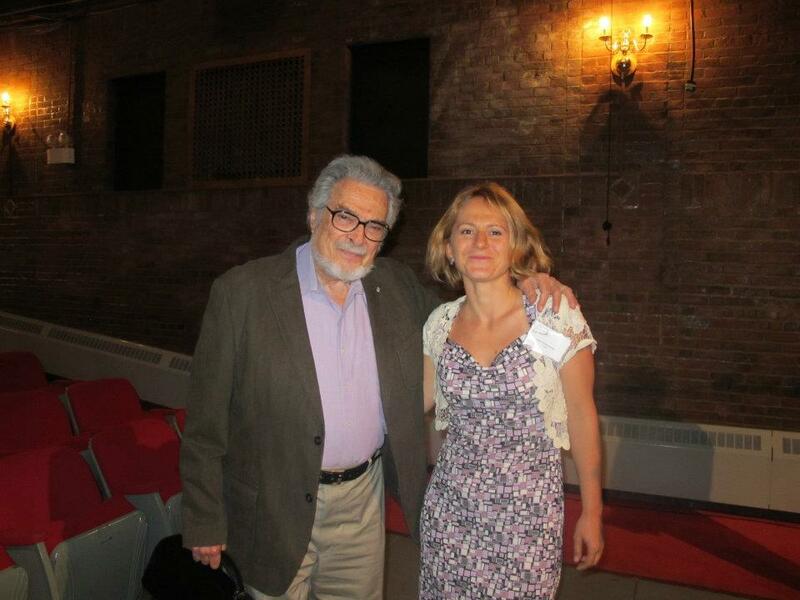 A winner of several national and international competitions herself, Kijanowska has received grants from the Kosciuszko Foundation, Jewish Foundation for Education of Women, the Madeleine Forte Foundation, the Manhattan School of Music in New York City and the Batory Foundation in Poland. As a producer, Kijanowska focuses on promoting Polish and contemporary music with projects including a Szymanowski concert at Merkin Hall in New York City in 2007, which attracted the attention of esteemed pianist Krystian Zimerman. 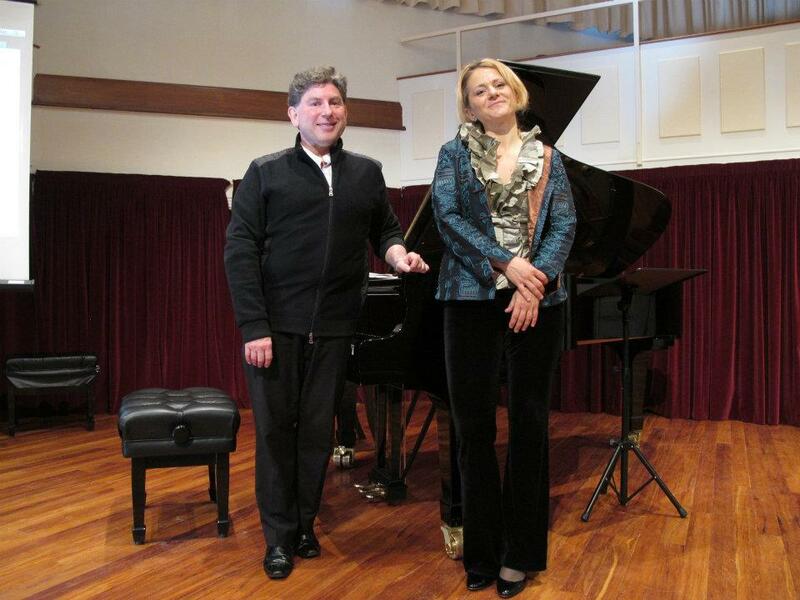 She has also presented innovative recital projects incorporating contemporary music with traditional repertoire (From Liszt to Liang, 2011) or fusion of musical styles (jazz with pianist Leszek Możdżer and Harris Simon) to audiences around the world. 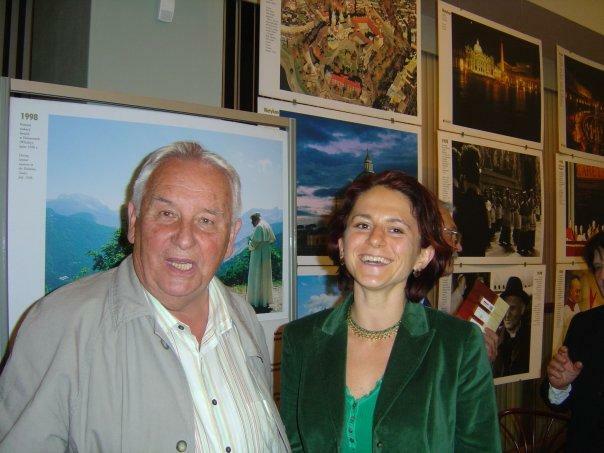 Kijanowska’s interest in the synthesis of arts and media has resulted in several projects combining music, visual arts, dance,poetry and photography. 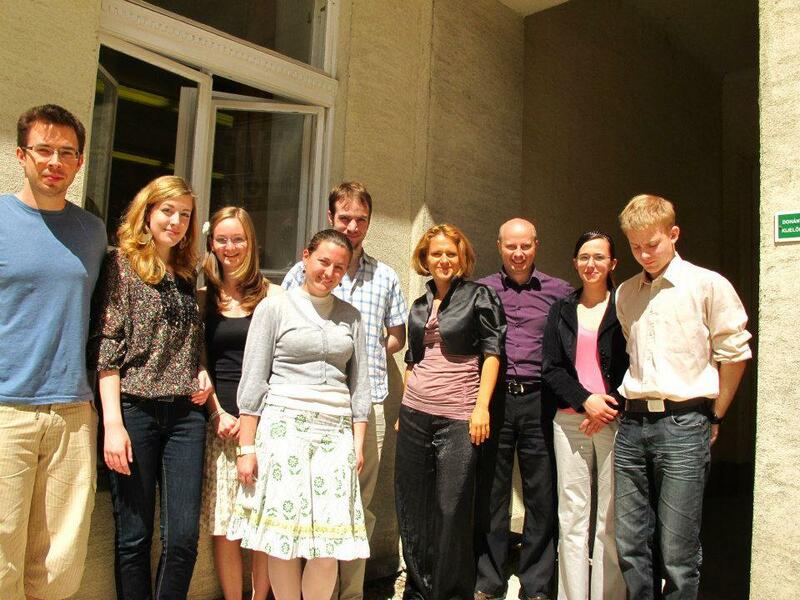 Ms. Kijanowska began her musical education in Bielsko-Biała, Poland and she attended the Szymanowski Music Academy in Katowice, under the tutelage of Prof. Józef Stompel. After receiving her Master of Music Degree in Piano Performance and Pedagogy from the Music Academy in Wrocław, she was awarded a scholarship to study with Dr. Madeleine Forte (pupil of Alfred Cortot, Rosina Lhevinne and Wilhelm Kempff) at Boise State University in the United States. 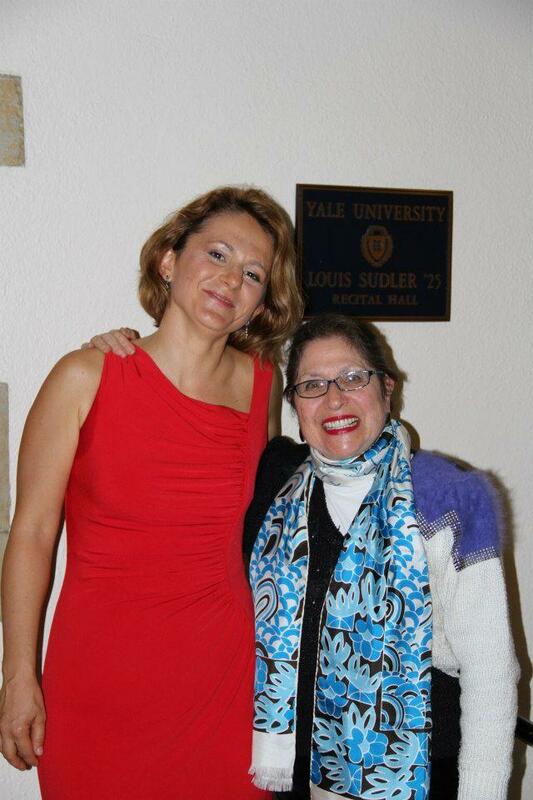 She holds a Doctorate and a Master of Music in Piano Performance from the Manhattan School of Music in New York, where she studied with Byron Janis (pupil of Vladimir Horowitz and Rosina Lhevinne), Mykola Suk (pupil of Lev Vlasenko), Sara Davis Buechner (pupil of Rudolf Firkušný and Mieczysław Munz) and Marc Silverman. Ms. Kijanowska is currently a faculty member at the Music Institute in the Fine Arts Department of the University of Silesia in Cieszyn, Poland. She is a former faculty member of the College of William and Mary and University of Richmond in Virginia, the University of Virginia in Charlottesville, the University of Nevada in Las Vegas, The Castleman Quartet Program, the Levine School of Music, and the Washington International Piano Festival in Washington D.C.
Kijanowska’ s diverse interests in music and the arts parallel her love for nature and adventure.She is equally comfortable hiking in the Himalayas at 5000 meters, or 25 meters below sea level diving with sharks. An avid hiker, she has reached the Everest Base Camp, completed the Annapurna , Kanchanjunga and Langtang treck in Nepal, and hiked the Huayhuash Circut in the Peruvian Andes. She also enjoys horseback riding, yoga, running, biking and kayaking. Kijanowska is a pianist I look forward to hearing again—and again. 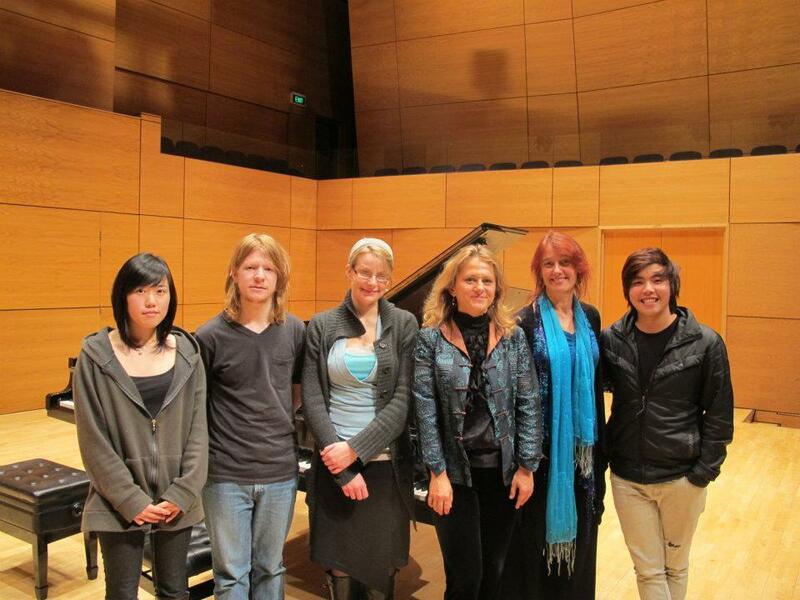 Anna Kijanowska is a beautiful pianist, superb teacher, and a lovely human being. Anna is a superb pianist. 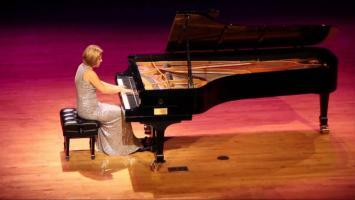 She is a pianist of exceptional ability, virtuosic mastery and musical sophistication. Dr. Kijanowska has been invited as a jury member to the 2nd Nashvile International Piano Competition and the 64th Kosciuszko Foundation CHOPIN Competition in New York. A student of Dr. Kijanowska, William Hume, has been named a prize winner of the 2013 American Protege International Piano Competition in New York City as well as several other competitions . He has apeared as a soloist with orchestras and have performed at Carnegie Hall twice this year and has apeared on From The Top. 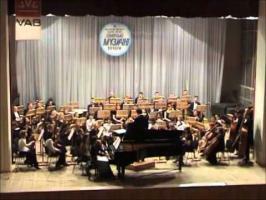 He was also chosen to perform for master classes by John O'Conor and Paul Badura-Skoda in March 2013. 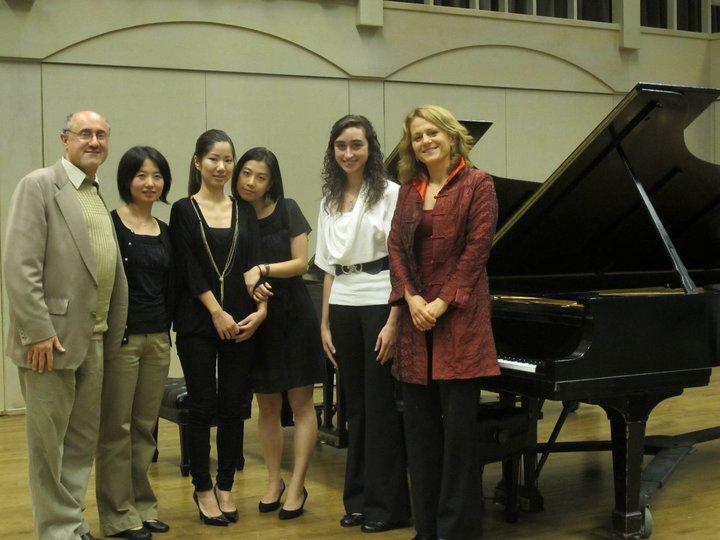 Dr. Kijanowska has been awarded a Diploma of Recognition by American Protege International Piano Competition for her educational achievements. 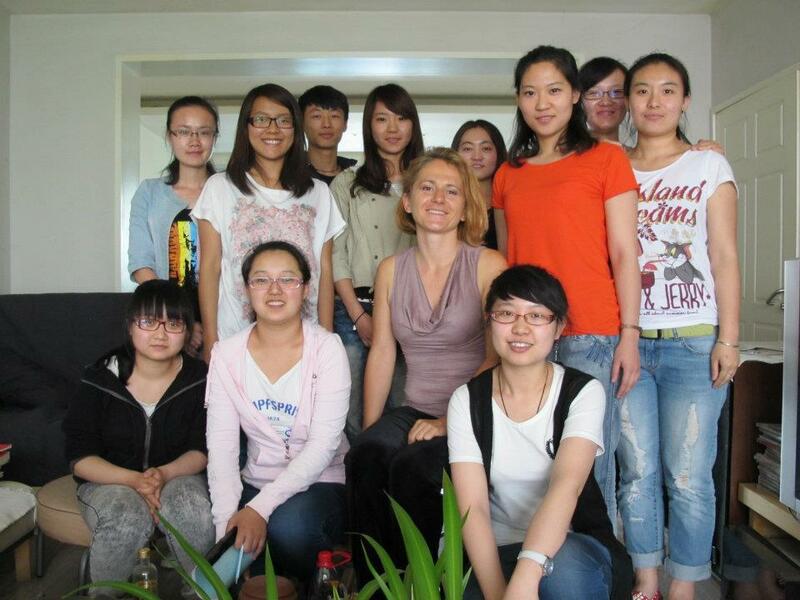 Dr. Anna Kijanowska is a passionate pedagogue and educator. She is sought after as a teacher, adjudicator, lecturer and performer. 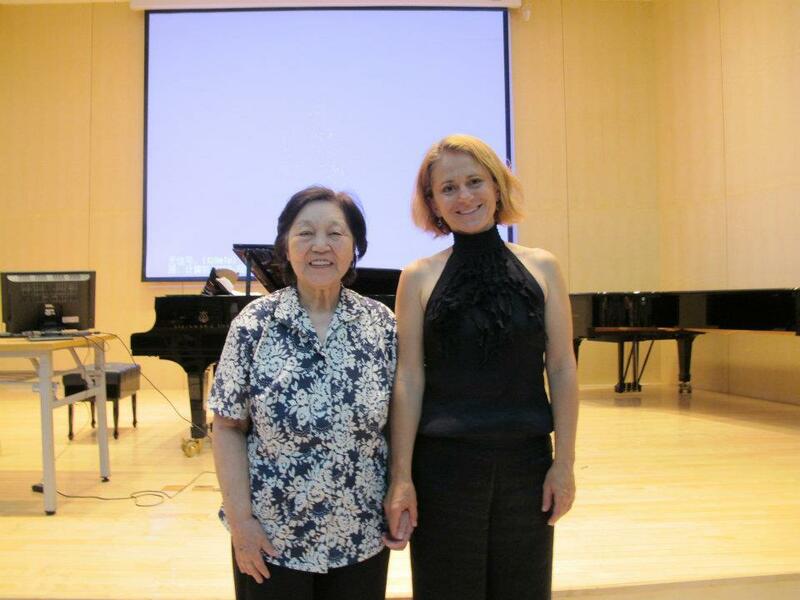 She has presented master classes, recitals and lectures at leading universities and conservatories around the world, including the Central Conservatory and Chinese Conservatory in Beijing, China; Yong Siew Toh Conservatory of Music at the National University of Singapore; Nanyang Academy of Fine Arts and LaSalle College of Arts in Singapore; Frankfurt University of Music and Performing Arts in Germany; the Sydney Konservatorium; the Xinghai Conservatory of Music in Guangzhou, China; the New Zealand School of Music at Victoria University of Wellington; Australian National University in Canberra; Yayasan Pendidikan Musik Conservatory in Jakarta, Indonesia; North-West University in South Africa; the Conservatory in Lima, Peru; St. Thomas University in the Philippines; the Universities of Arizona, Utah, Nevada, Virginia and California; Bard College in New York; Yale University and Harvard University, among others. 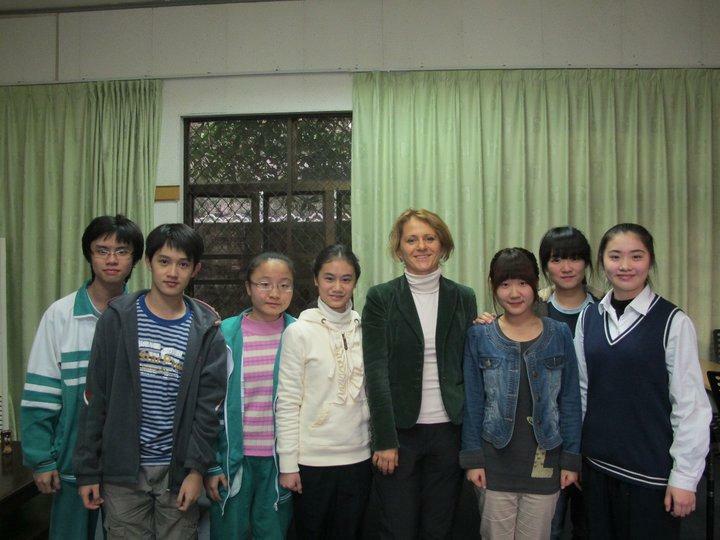 She has been invited to present papers at international conferences, including the 4th World Piano Conference in Novi Sad in 2012, and the 5th Singapore International Pedagogy Symposium in 2011. 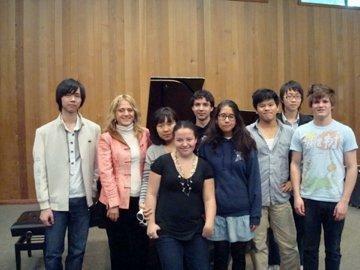 As an adjudicator, she was invited to join a number of national and international competitions, including the Washington International Competition and the Catholic University Concerto Competition in Washington, DC; the MTNA Competitions; the International Chopin Competition in Singapore; and the Yamaha Piano Competition in Guangzhou, China. Dr. Kijanowska’s students have won numerous competitions, appeared on radio and TV, and performed with orchestras worldwide. She earned a Master of Arts in Pedagogy from the Music Academy in Wroclaw (Poland), as well as a Doctorate and a Master of Music in Piano Performance from the Manhattan School of Music in New York, where she studied with the legendary pianist Byron Janis (pupil of Vladimir Horowitz and Rosina Lhevinne), Sara Davis Buechner (pupil of Rudolf Firkušný and Mieczysław Munz), and Mykola Suk (pupil of Lev Vlasenko). She has also studied with Dr. Madeleine Forte (pupil of Alfred Cortot, Rosina Lhevinne and Wilhelm Kempff) at Boise State University in Idaho. Dr. Kijanowska is currently a faculty member at the College of William and Mary, Interharmony Festival in Italy and Germany, as well as the International Academy of Music (Italy), and is planning to join the faculty of the Vianden International Festival and Music School in Luxembourg. 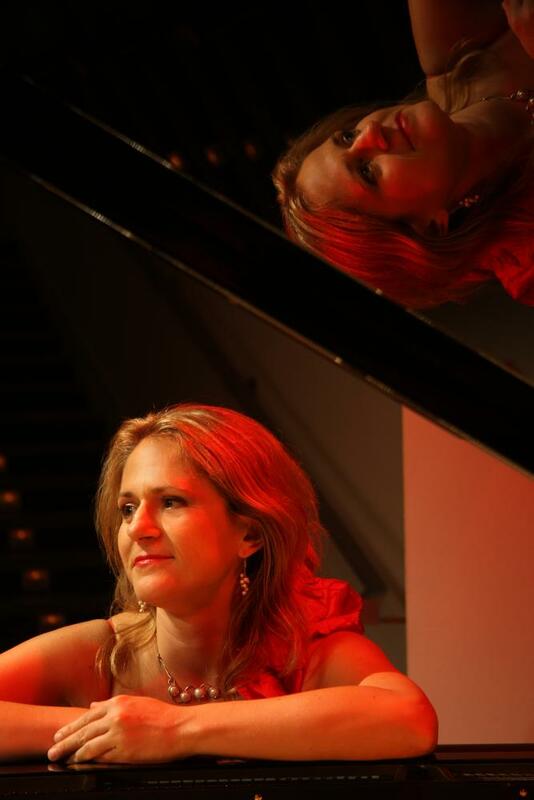 She is a former faculty member of the University of Richmond in Virginia, the University of Virginia in Charlottesville, the University of Nevada in Las Vegas, The Castleman Quartet Program, the Levine School of Music, and the Washington International Piano Festival in Washington D.C. Le Liang, My Windows, 4 " Pausing, awaiting the wind to rise"